Opportunities abound in Victoria to view magnificent marine wildlife. 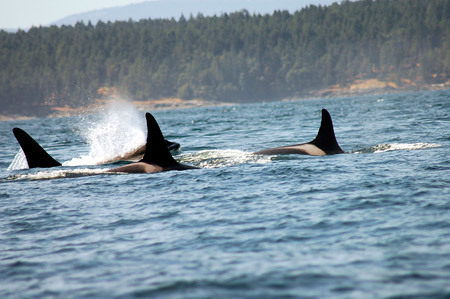 With both resident and transient pods of the killer whales in the immediate area, you are almost certain to see some individuals of these endangered species up close. Canada's Ministry of Fisheries and Oceans regulates whale watching in Canada on a conservation basis. NOAA Fisheries does the same for US waters. Since whales and other marine mammals and turtles are transboundary species, a joint precautionary approach is implemented across the whale watching industry of both countries through a Code of Ethics, and the Be Whale Wise Guidelines, to which all tour operators subscribe. Many Victoria operators have been providing whale watching tour experiences successfully to satisfied customers for years.